The Vitascope was the first commercial projector mass-produced for the American market. In 1895, C. Francis Jenkins and Thomas Armat developed a projection device which they called the Phantoscope. It was publicly demonstrated in Atlanta in September 1895 at the Cotton States Exposition. Soon after, the two parted ways, with each claiming sole credit for the invention. Armat showed the Phantoscope to Raff and Gammon, owners of the Kinetoscope Company, who recognized its potential to secure profits in the face of declining kinetoscope business. They negotiated with Armat to purchase rights to the Phantoscope and approached Edison for his approval. Evans: “It took something for the Old Man, as he was now called, to suppress the pride of the inventor in favor of the enterprise of the innovator.” But he did just that – the Edison Manufacturing Company agreed to manufacture the machine and to produce films for it, but on the condition it be advertised as a new Edison invention named the Vitascope. 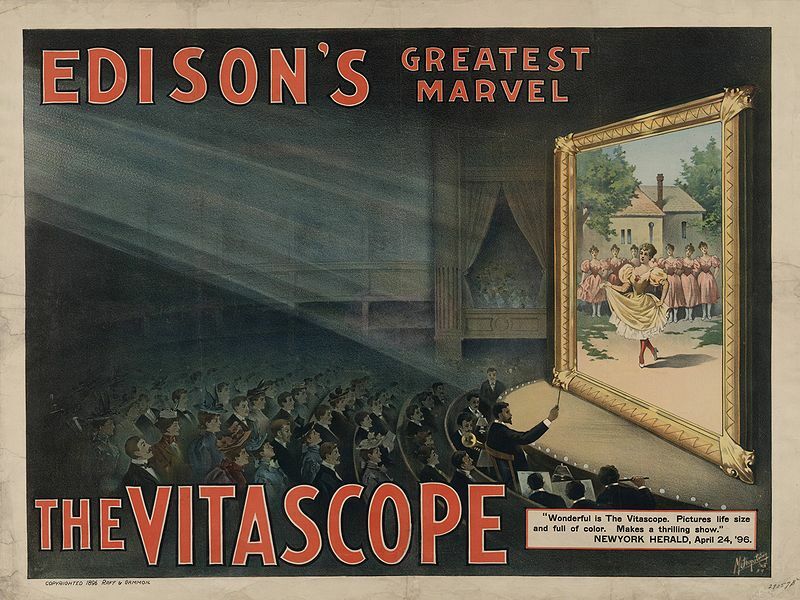 The Edison Company developed its own projector known as the Projectoscope or Projecting Kinetoscope in November 1896, and abandoned marketing the Vitascope. Man I aced my History assinment because of this site! !